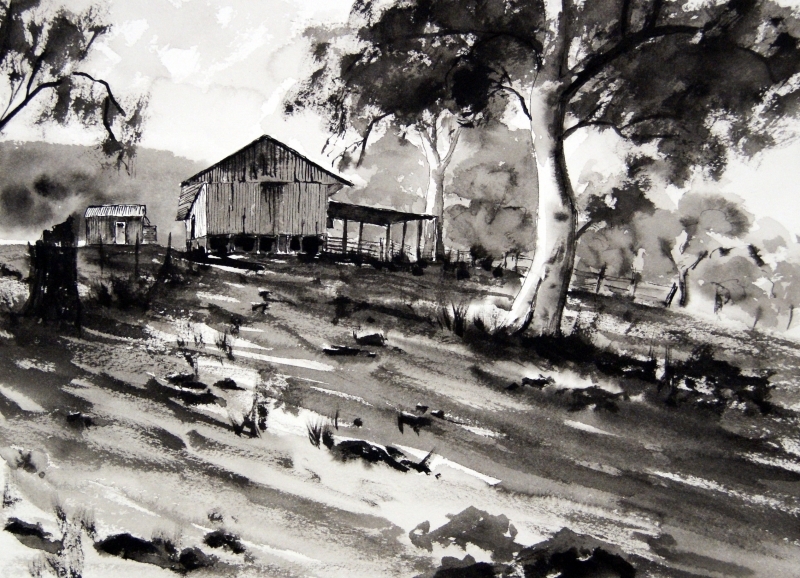 I am an Australian artist who loves doing pen and ink drawings and paintings. I have decided to create this site to provide some advice for my students and those interested in using pen and ink techniques in their artwork. Topics covered will include using pen and ink as well as combinations of pen, ink and watercolor, ink and pastel, pure pen and ink drawings, as well as ink and brush paintings. There are no limitations when talking about pen and ink techniques, whatever can help you create a nice drawing or painting is valid. Drawing directly with ink is a great teaching technique to help with your drawing skills. It forces you to look and consider each pen and brush stroke before placing it on paper. It also helps you to loosen up as once a mark is make it is very difficult to move, this in particular is helpful to watercolor artists that have a dendency to fiddle! This site is currently a work in progress but I have started by placing some of my pen and ink work in the gallery along with some useful links pages. Under the demonstrations tab above you can see a number of step by step pen and ink demonstrations. Under techniques you will find some advice on painting with pen and ink and brush, as well as the use of watercolor with pen and ink. Under this section I also discuss various materials I use when painting with pen and ink. I hope you find this pen and ink techniques website of some use to you. If you are interested in any of my works or would like to make any comments I can be contacted through my Contact page above.